When operating a website for profit, traffic is the name of the game. Without a consistent flow of visitors, your pages will not have views and your advertisements will not have clicks and exposure. By following Internet trends, you can provide content that is popular at the moment, thus attracting more visitors to your site. Here you can learn more about following trends to boost traffic: 5 tips that will get the job done. 1. Twitter - Twitter has a feature on its website that displays the top ten most tweeted keywords. Look for this list on the right side under your saved searches and lists. This list gives you a window into what interests the world at any given moment. By checking this list, you can get ideas for content you can create for your website that will attract the most visitors. Just click the trending topic to read what people are saying about it and click some links to get more depth and you can quickly create relevant content that you can put on your blog or website. Once you have prepared your content, you can tweet it, along with a link to bring visitors to your site. 2. Google Trends - This is a website Google operates that shows what people are looking for on Google. Since nearly two thirds of all Internet searches are performed on Google, the site is uniquely qualified to show you what is popular on the World Wide Web at any given moment. Google provides one list that shows hot topics and another that shows hot searches based on keywords. When you find a topic or search that interests you, you can click on it and it will give you traffic stats and links that will help you get basic research done. Just post relevant material to your site and use the keywords from Google Trends and you will often see an increase in traffic. 3. Alexa.com - Find valuable information on Internet trends that you can use to boost traffic to your site. Similar to Google Trends, Alexa lists the top topics and searches online. When you build your content around topics and keywords that rank high on Alexa, you will often see increased traffic. 4. Relevant content - You may find that simply getting traffic is easy, but keeping it may be a different matter. After finding the latest trends using Twitter, Google, and Alexa, you have something to write about. Try not to throw something together that has the keywords you need because when visitors arrive, they will not stay unless they find something meaningful. Use Google Analytics or the traffic logs from your website to find out which of your pages are attracting and driving away visitors. The so-called bounce rate will usually be high when your keywords are not complemented with quality content. 5. Long tail searches - You can instantly reduce your bounce rate by increasing the length of your keyword phrases. This helps because people tend to get more specific with their searches the further they are into the buying process. Long tail keywords may bring fewer visitors to your site, but they should improve the rate at which you convert visitors into customers. When following trends to boost traffic: 5 tips can help you get the most for your efforts. By providing relevant material and targeted topics, you can transform your website and boost your bottom line. 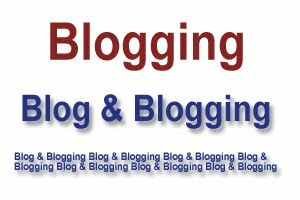 Share your opinion, what propose do you use to Boost your blog traffic?